I got straight up goosebumps from this trailer. The mixture of the destruction (which unlike a lot of recent movies feels like it has "weight" to it), and the frustrated plea by Bryan Cranston's character just hit all of the right note. 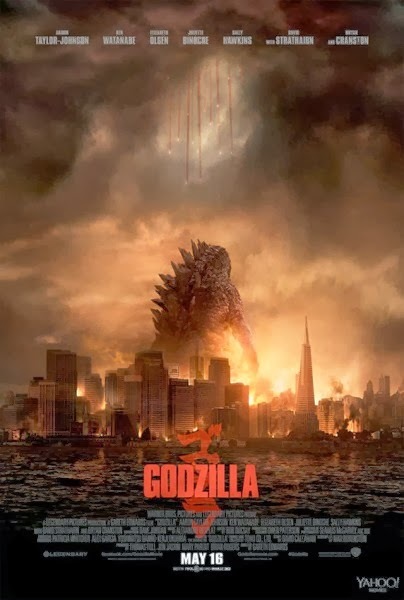 I'm already pretty excited but this is just giving off 1954 GOJIRA vibes so hard with how serious it is. The Statue of Liberty that's been destroyed looks to be in a desert. This is interesting because in all of the movies, Godzilla has always been a stone's throw from the water. The first water scene shows either Godzilla or some other creature diving into the water. At about 1:45, there's a team of scientists that are in a giant skeleton, potentially hinting this isn't the first Godzilla creature. This is a common plot point of the Toho movies where the original creature died in the first movie and the Godzilla we see in the sequels is just another creature.